Once derided as a gastronomic desert, Spain’s culinary credentials are currently unquestionable, particularly as the Catalan restaurant, El Celler de Can Roca in Girona, was awarded the title of “Best Restaurant in the World” by Restaurant Magazine in June this year. Indeed, no other European nation has witnessed such a massive gastronomic shake-up as Spain; cliches of calamares ‘n’ chips and stale tortilla are rarely employed these days. Instead, gastronomes will encounter a legion of chefs desperate to showcase their remarkable creativity, transforming traditional Spanish dishes into works of art. For this food revolution, we should largely thank maestro chef Ferran Adria and the legacy of his (now sadly closed) El Bulli in the Costa Brava. Many of Spain’s top chefs wouldn’t be where they were today without a stint in Adria’s kitchen, a fact often reflected in the experimental nature of most contemporary Spanish cuisine. Mass immigration into urban Spain has also played its part, adding ethnic variety to a culinary scene that offers both excitement and tradition. Of course, such a culinary shake-up would be hollow without a similar Renaissance in the Spanish wine offering. Today, Rioja, Sherry, and Cava are now joined by numerous fashionable wine regions, such as Ribera Sacra in Galicia, a fact reflected in the country’s dynamic wine lists. What’s more, the Spanish restaurant sector has opened its doors to imported wines, so both visitors and locals are now spoilt for choice. The days when a Spanish restaurant only offered a few local vintages are long gone. So in that spirit, we’d like to share our thoughts on Spain’s best wine lists, pages that sparkle with creativity, diversity, and excitement. The Michelin 3-starred Akelarre in San Sebastian has won wide acclaim for head chef Pedro Subijana’s sublime new Basque cooking, so much so that we tend to forget that Akelarre also boasts one of Spain’s best wine lists. 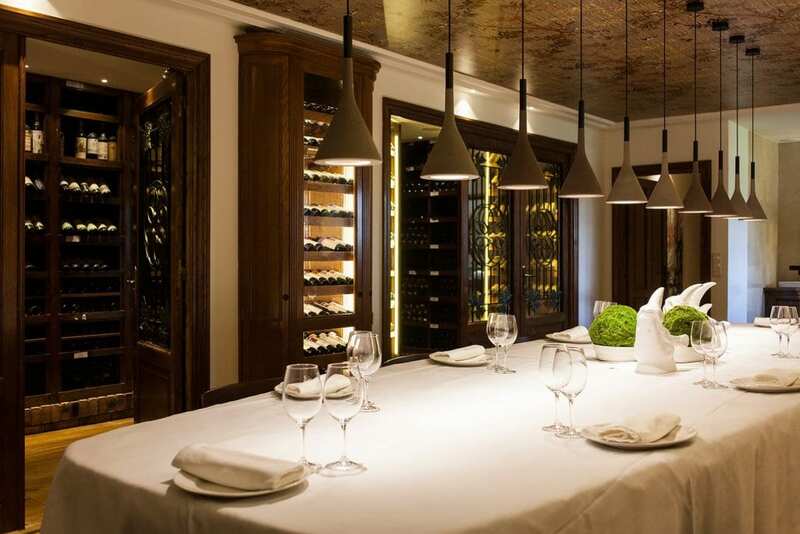 Overseen by head chef Juan Carlos Muro, the list at Akelarre is impeccably balanced, with no massive bias shown toward one region or country, showcasing a 50/50 split of Spanish and international wines. Muros’ list contains over 600 different references, with particular rich pickings to be found in Galicia, home of such delicious aromatic whites as Godello and Albarino. But all the important Spanish regions and wineries are given due recognition, including the legendary outfit Vega Sicilia. What’s more, the mark-ups are almost criminally reasonable, with some bottles costing little more than the retail price. The darling of both Spaniards and visiting gastronomes, Atrio is possibly the most popular restaurant in Spain today, despite its remote location in Extremadura. 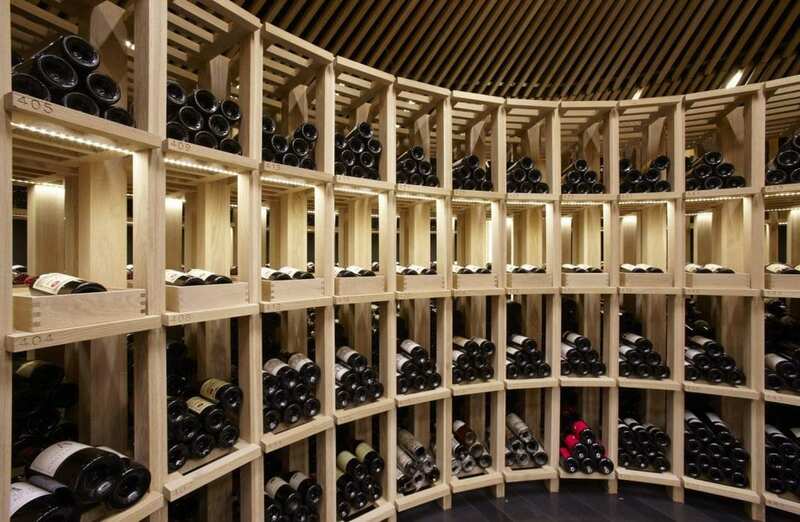 In this case, however, it is arguably the wine list rather than simply the cuisine that has earned Atrio the most attention, a gargantuan list put together by sommelier Jose Polo. His wine offering is simply incredible, a two-hundred page plus extravaganza that literally explores every fine wine region in the world today. A self-confessed Bordeaux nut, Polo boasts an enviable selection of rare vintages, including 1929 Chateau Lafite and over 20 vintages of Chateau Petrus. White wine lovers will positively swoon over his Montrachet de la Romanée Conti 1987, reputedly one of the finest white wines ever made. Closer to home, Atrio’s list plays due homage to the Spanish classics and includes an extended list of Vega Sicilia vintages, legendary Rioja names and old Sherries. To find such an all-inclusive list in a country that was traditionally highly suspicious of imported wines, is nothing short of remarkable, even in such a high-class address. Joseph Roca is the head sommelier at the World’s Best Restaurant, surely a position that every wine professional would crave? Moreover, he presides over one of the world’s greatest and cosmopolitan wine lists, containing over 2,600 different wines, of which half of those are from outside of Spain. He has dedicated his career to offering each and every guest a truly harmonious, seamless food & wine matching experience, working tirelessly with his two brothers in the kitchen to ensure that Can Roca’s dishes work perfectly with his selection of wines. In fact, there are actually three lists at El Celler de Can Roca, magnificent leather-bound tomes that are wheeled around on bespoke trolleys to the delight of visiting oenophiles. 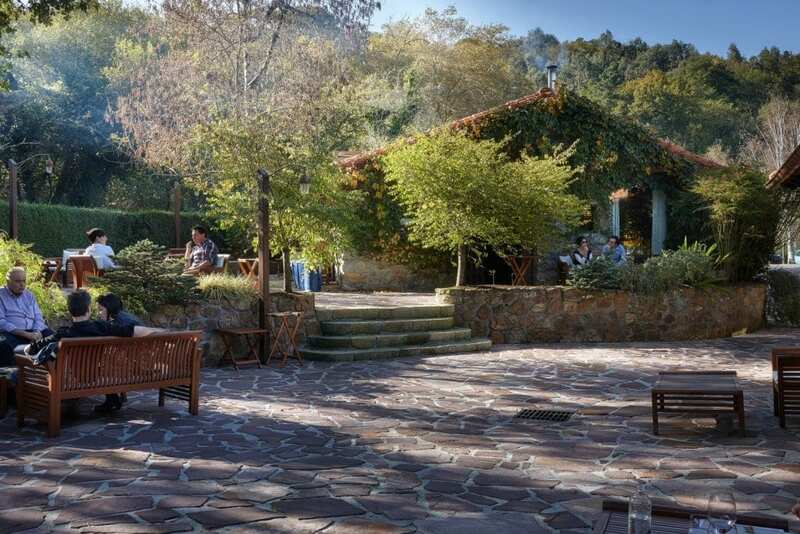 They strike a good balance between favoring local wines and showcasing international labels, offering some of the best Riesling, Champagne, Burgundy, Sherry, and Priorat available, a testament to Roca’s personal favorites. which refreshingly extend beyond the Peninsula. 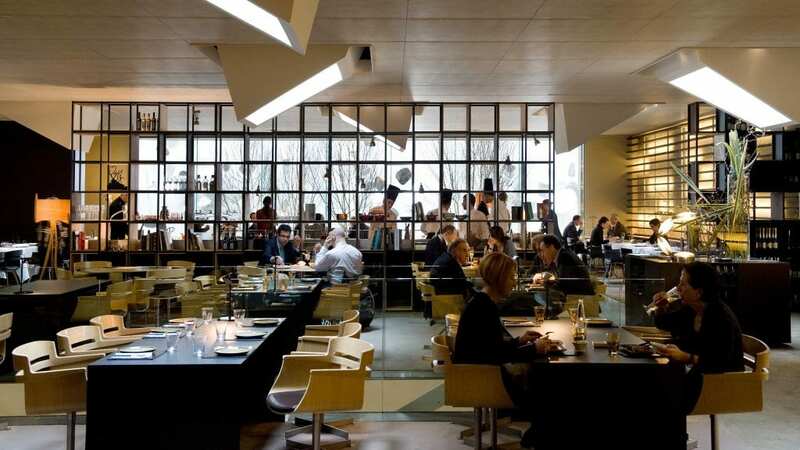 But what is most remarkable is that despite winning countless awards, Roca’s lists are priced very reasonably considering the pedigree of the restaurant. Trust us, every food and wine lover must visit El Celler de Can Roca at least once in their lifetime. It was Barcelona’s Monvinic that redefined the concept of a wine bar in urban Spain, offering a very contemporary experience that at first ruffled the feathers of more than a few Catalans. So instead of sawdust-covered floors and dusty old bottles used as candle holders, you’ve immersed a very 21st experience where visitors order via tablets from an extensive selection of wines by the glass. The setting is quite striking: a trendy, minimalist (but not clinical) industrial space, complete with a well-stocked library of wine literature and a top restaurant too. Monvinic is essentially a game of two halves. On the one hand, its owners pride themselves on a lack of parochialism and showcase an impressive array of wines from across the globe. But more exciting is the amazing selection of local (and keenly priced) gems, often from lesser-known regions like Penedes and Alella. Indeed, there is no greater source of top Catalan wine than Monvinic. An essential part of any visiting oenophiles itinerary. The Michelin 2-starred Mugaritz in Errenteria boasts a cellar containing over 600 labels, a brilliantly diverse list overseen by the award-winning sommelier, Guillermo Cruz. His collection includes several vintages of extremely rare Burgundies, including the iconic estate Domaine de la Romanee Conti as well as a venerable selection of the Spanish classics, particularly old Riojas. However, Mugaritz is most celebrated for adopting the remarkable Coravin technology: a device which extracts wine without removing the cork, allowing the restaurant to offer hitherto unseen fine wines by the glass. This has revolutionized the enjoyment of wine in Spain, allowing the passionate oenophile to sample legendary, but often prohibitively expensive names without having to fork out for a bottle. One of the first restaurants to use Coravin, Mugartiz deserves due recognition for bringing this wonderful technology to Spanish palates. It makes for a glorious wine experience. Situated in the glorious Basque countryside, superstar chef Martin Berasategui’s flagship restaurant is a Michelin-3 star extravaganza that serves some of the most inventive, technically accomplished food in Spain. It pulls in a glamorous selection of the great and the good keen to sample new Basque cuisine in its finest form. 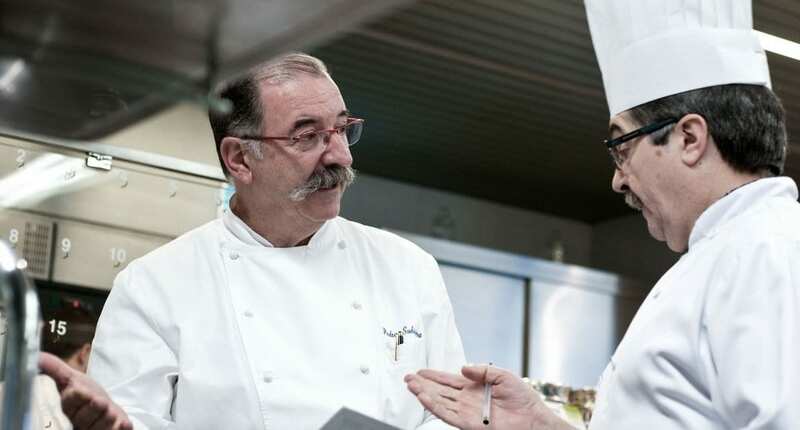 But it’s not only the cooking that attracts gastronomes to Martin Berasategui. The wine offering is also monumental; over 1,000 different bins are available, with a pleasing 50/50 split between Spanish and international wines. Highlights include an extensive selection of older Vega Sicilia vintages, some rare Sherries, Riojas and a venerable collection of Bordeaux First Growths. The sommelier is also to be congratulated on closely following the activities of the kitchen to ensure that all his wines perfectly match the dishes – at Martin Martin Berasategui, the wine always complements rather than smothers the food. The tables at Roca Moo are as desirable as the rooms in its parent hotel, Omm. Superlative cooking is overseen by the Roca brothers, who add their magical touch to what is today one of Barcelona’s finest restaurants. 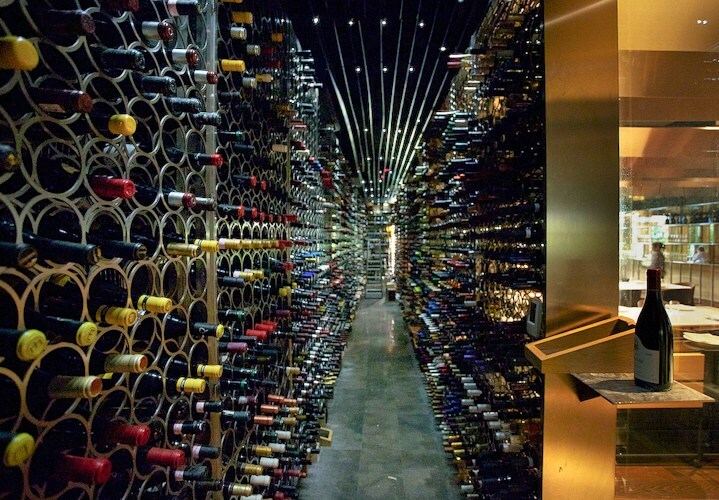 So it is little surprise that Roca Moo also boasts one of the city’s best wine lists, which showcases over 500 different references assembled by sommelier Xavi Ayala. Ayala’s first love is clearly Spain – there is no shortage of top Spanish wines, including a venerable list of old Riojas, including the legendary white Rioja from Bodegas Lopez de Heredia. 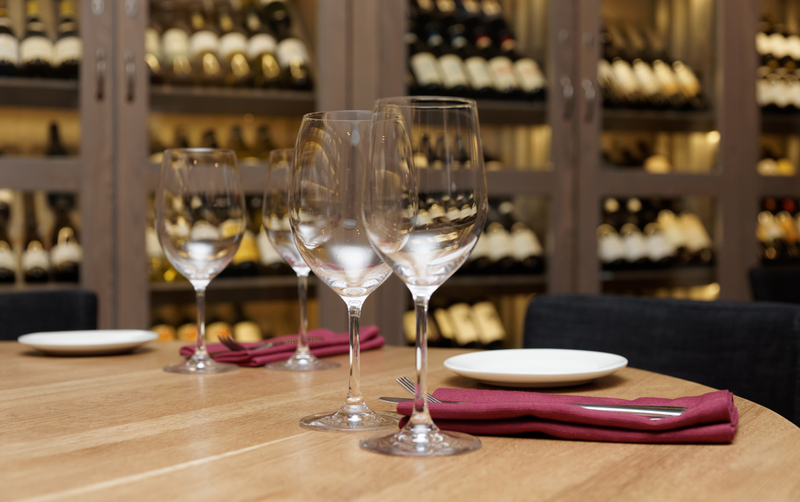 What’s more, the wines on offer are meticulously designed to match each of the tasting menus’ dishes, and many dishes are even built around them. Try the Sauternes paired with the mango ice-cream, it’s divine. Rekondo is a wonderful but unassuming family-run restaurant, situated just outside San Sebastian and a mere 10 minutes drive from the city center. Yet, behind this unremarkable facade, you’ll discover one of Spain’s greatest wine lists. Owner Txomin Rekondo has spent decades filling three cellars with over 125,000 bottles of wine from every conceivable region in the world. The list is today overseen by sommelier Martin Flea, who cut his teeth at Martin Berasategui’s flagship restaurant in Lasarte-Oria. Today, there is so much diversity and rarity in Rekondo’s spectacular collection, it is difficult to know where to begin. But, we will say that Bordeaux lovers are certainly well catered for – Rekondo boasts one of the largest collections of 1st Growth verticals, including a very rare bottle of Lafite 1887. Only Atrio can possibly compete with such an extensive list of Bordeaux wines. However, when it comes to Rioja, Rekondo surely has no peers; Txomin has dedicated his life to amassing the largest range of old Rioja vintages in Spain, if not the world. Highlights include a very rare 1945 Marques de Riscal, over 100 vintages of Vina Tondonia and several pre-war vintages of Vina Ardanza. Rioja lovers – welcome to paradise!